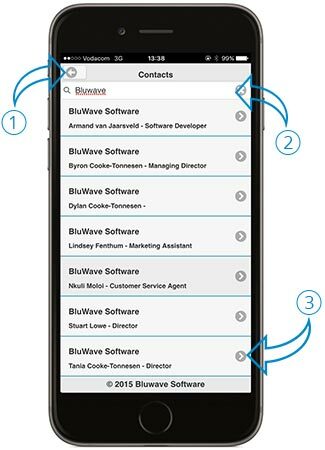 BluWave CRM Mobile is here to make your life a lot easier while you are on the go between sales meetings. 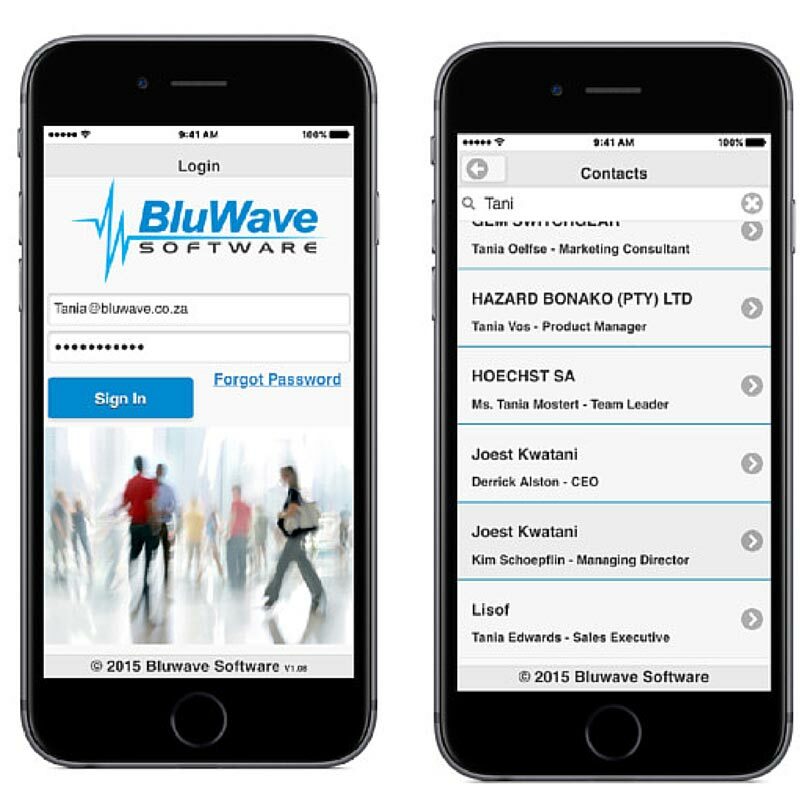 There is no charge for the application - it is free for all registered users of BluWave. 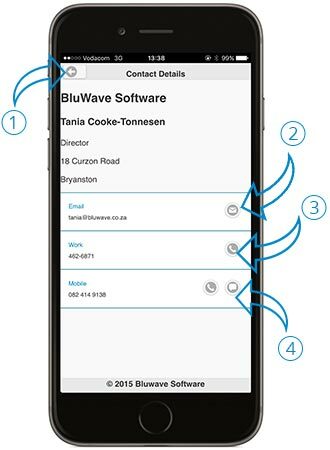 Get instant access to details of all your BluWave CRM contacts whether you are in the office or out in the field. Search for a Company Name or contact first name or surname to find a person. Click on a contact person to access the phone numbers email and physical addresses. You can phone, SMS or email the person from your cellphone. Apple devices: Requires iOS 8.0 or later. Compatible with iPhone, iPad, and iPod touch. 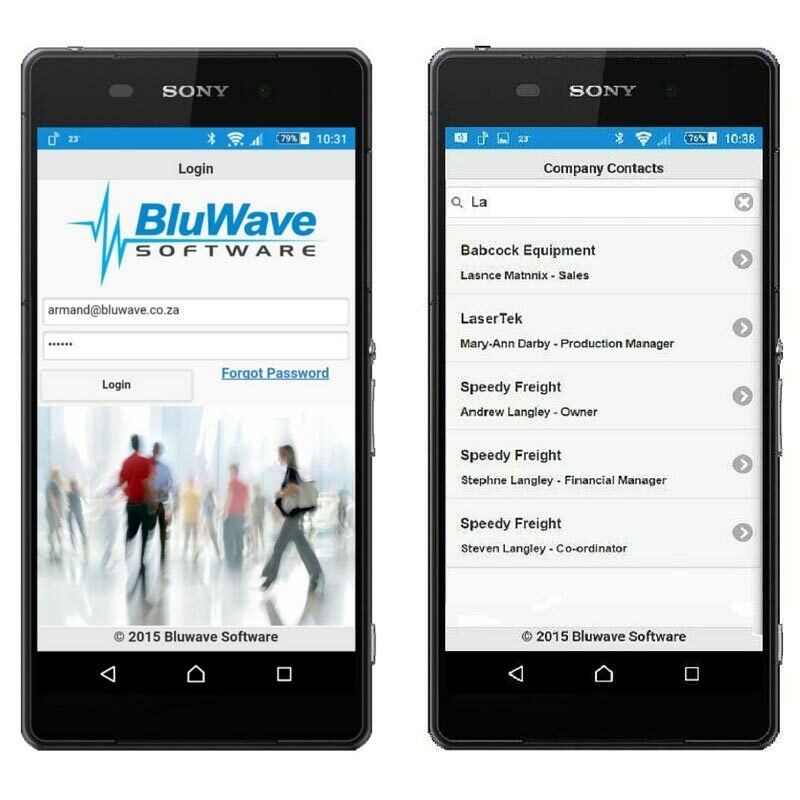 Please note this app can only be used by registered BluWave users.